If there is anything that the Sports Arena Fustercluck has revealed to El Pasoans over the last several months, it is how down and dirty city leaders can get trying to get their way. 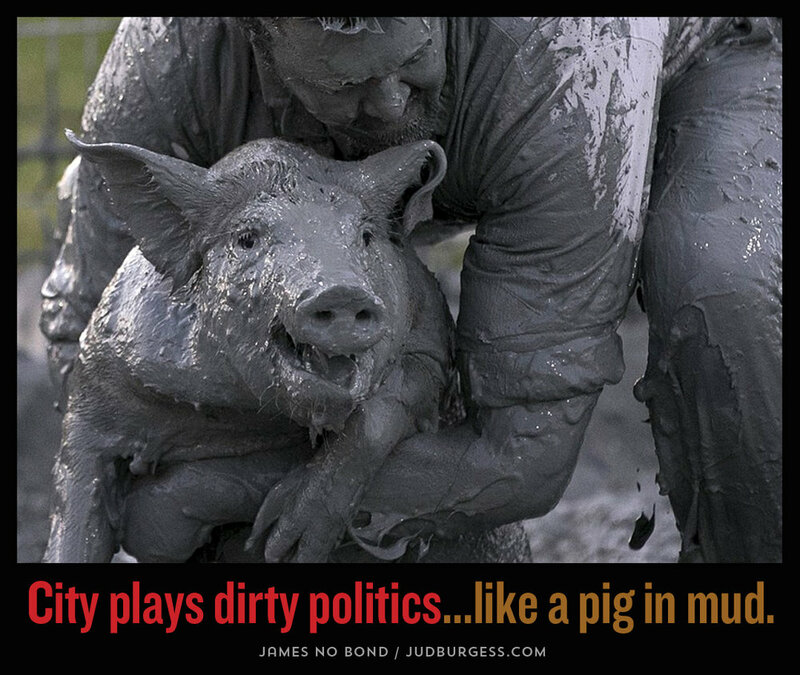 Mayor Margo, city attorney Firth and city council have been pushing the fast track to building the sports arena and demolishing Barrio Duranguito and have left us a trail of mudprints we can follow to see just how dirty their politics are. Prior to and after his election, our mayor was in front of every news camera clamoring to build the arena as soon as possible before it got too expensive. This was an obvious attempt to avoid eventual public exposure to behind-the-scenes maneuvering the city was conducting with slumlord property owners. That has all been made public by city attorney Firth after almost 120 days of stonewalling an open records request. Once the city was threatened with a criminal complaint, they quickly dumped over 450 contract pages for public consumption the following day. Attorney Firth has been consistently stating that the city had no control or responsibility over what owners do regarding demolition of their properties. In mid-June, Firth sent a clear signal to property owners and I quote – “If the property owners have completed all their steps, there’s no reason why they cannot proceed.” She was talking about the destruction of the buildings in Duranguito which were eventually assaulted on Sept. 12 in violation of a court injunction prohibiting destruction. Contract documents appear to reveal that the city had put aside the money for property demolition in escrow and informed owners that they would make down payments on the properties once the demolition began. So as a taxpaying citizen with a right to know, I ask “Has the City released any monies to owners after they proceeded with property demolition as stated in your contract with them? You don’t have to answer but a judge will soon ask you the same question. The City was also revealed to have payed payed up to five times over the assessed value for all properties including the Chinese Laundry to which the city rewarded slumlord Billy Abraham several times it’s worth after he suggested he would have it reviewed for historical status. City leaders have continued to state that none of the buildings are of historic value, making their destruction a priority in order to avoid having to go through the Texas Antiquities Laws or the application of a requested historic overlay that would all but kill the sports arena and their reckless plans to destroy part of our historical legacy. They have abandoned their professional and ethical responsibilities towards El Pasoans, the citizens they are charged to serve. It may not be tomorrow. It may not be next month. But it will come.